You can search the University of Arkansas Library Catalog and many other library catalogs from inside your RefWorks account. These search connectors use a standard called Z39.50. On the top menu, choose Search > Online Catalog or Database. 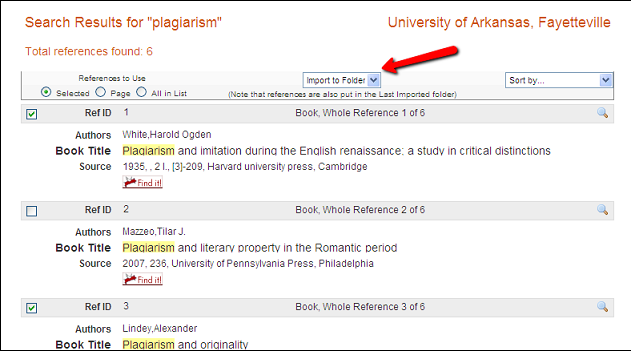 For Library Catalog, choose the University of Arkansas, Fayetteville. Enter your search terms and click Search. 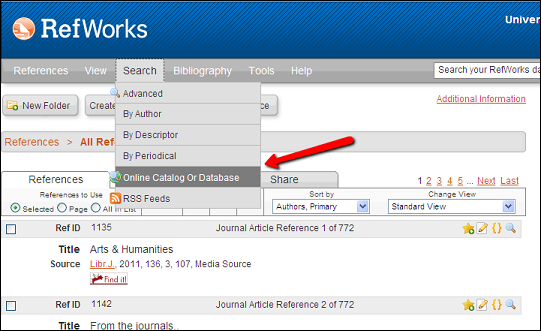 RefWorks will retrieve up to the first 50 items matching your search terms. Check the ones you wish to import and then click the "Import" button.